Julian “J-Rock” Williams and Nathaniel Gallimore, two young, skilled contenders in the stacked 154-pound division, will clash in a 12-round world title eliminator on Saturday, April 7 live on SHOWTIME from the Hard Rock Hotel & Casino in Las Vegas and presented by Premier Boxing Champions. The SHOWTIME CHAMPIONSHIP BOXING main event will see Erislandy Lara, the longest reigning world champion at 154-pounds, clash with undefeated champion Jarrett Hurd in a highly anticipated 154-pound world title unification bout. The three-fight telecast begins at 10 p.m. ET/7 p.m. PT and features Caleb Truax making the first defense of his 168-pound title against James DeGale in a rematch of their exciting first bout in December. Williams and Gallimore will look to put themselves into the mandatory position for the IBF Junior Middleweight World Title currently held by Hurd. The epitome of a Philadelphia fighter, Williams (24-1-1, 15 KOs) has won his last two fights after suffering the first loss of his career to Jermall Charlo in his first world title fight in 2016 on SHOWTIME. The 27-year-old Williams rebounded by stopping Joshua Conley last June before picking up a victory over former champion Ishe Smith in his most recent fight in November. 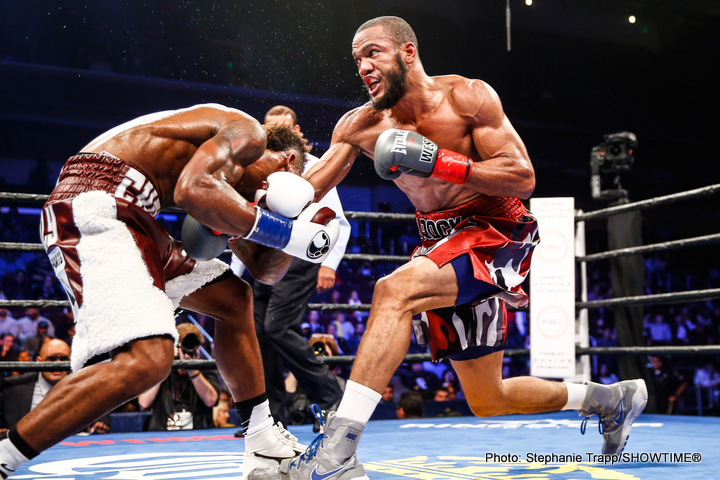 The 29-year-old Gallimore (20-1-1, 17 KOs) has stayed active while rising up the ranks at 154-pounds and picking up four knockout victories in 2017. The Jamaican fighter, who now trains in California with Buddy McGirt, impressively stopped previously unbeaten Jeison Rosario and then once-beaten Justin DeLoach in two performances that announced his arrival as 154-pound contender.